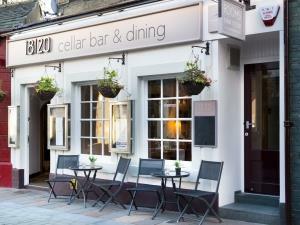 18/20 Cellar Bar, Dining & Rooms017687 73331work01768775926fax Restaurant with RoomsCentrally located in the heart of the popular market town of Keswick, 18/20 Cellar Bar, Dining & Rooms offers an ideal base from which to explore the spectacular Northern Lakes. Situated on a quiet street around the corner from the main market square, we present a bar lounge and restaurant decorated in a contemporary style whilst retaining traditional Lakeland character. 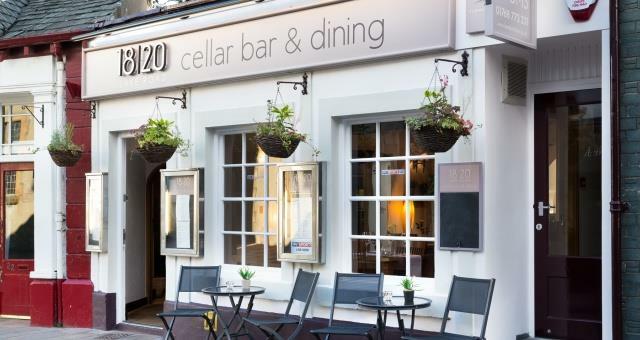 Centrally located in the heart of the popular market town of Keswick, 18/20 Cellar Bar, Dining & Rooms offers an ideal base from which to explore the spectacular Northern Lakes. Situated on a quiet street around the corner from the main market square, we present a bar lounge and restaurant decorated in a contemporary style whilst retaining traditional Lakeland character.